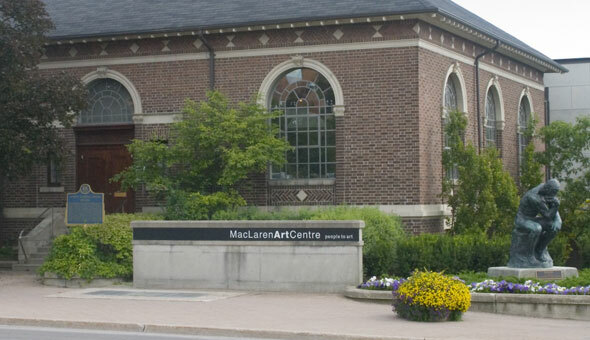 Formally the Radio Cafe, the Gallery Café is located in the Maclaren Art Gallery at the corner of Collier and Mulcaster streets in downtown Barrie. At the Gallery Café, you can treat yourself to a cappuccino and dessert or light lunch in their Sculpture Courtyard. They offer a menu of wraps, paninis, salads, soups, quiches and more, all made fresh daily with seasonal ingredients. The Cafe also offers vegetarian, certified organic and fair trade products as well as being fully licensed, serving wine and both premium and domestic beers.